Among the many issues deemed as most important by Americans, Legg Mason outperformed its peers on worker pay and treatment, job creation, healthy products and communities, environmental impact, and more. Legg Mason has once again been named to the list of America’s 100 Most JUST Companies – the JUST 100 – an annual ranking by JUST Capital and Forbes of how the largest publicly-traded companies in America perform on issues Americans care most about. 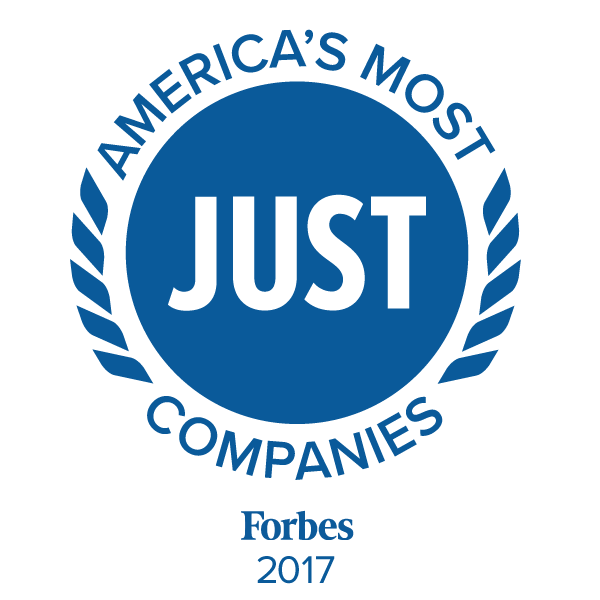 “We are honored to be named one of the Most JUST Companies for the second straight year,” said Joe Sullivan, Chairman and Chief Executive Officer of Legg Mason. “This award recognizes the commitment and passion of our employees in fulfilling our Mission of Investing to Improve Lives™—the lives of our clients, stakeholders, employees and communities. At Legg Mason, we believe that simultaneously seeking to ‘do well’ as a business and 'do good' for our stakeholders strengthens both, and we are pleased by this acknowledgement of our ongoing work." The JUST 100 ranking is based on one of the most comprehensive surveys ever conducted on public attitudes towards corporate behavior, involving 10,000 American respondents in 2017 and more than 72,000 over the past three years. Read the complete for a complete description of the ranking methodology, visit https://justcapital.com/methodology/. © 2017 Legg Mason Investor Services, LLC. Member FINRA, SIPC, a Legg Mason, Inc. subsidiary.